Remember this one? I found myself re-reading it the other day — sniffling away again, as usual — and thought it was high time I re-issued it — just in case there are any new readers here who have never had the chance to download a copy, or just in case you have kids who need to squeeze another book or two onto their summer reading logs. 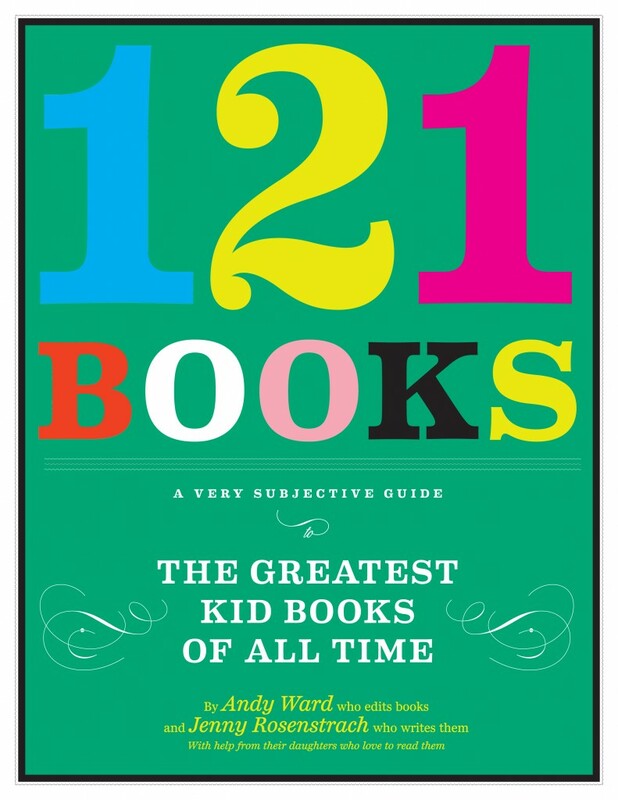 SO: For a LIMITED time only, I am unlocking the page where you can download our 2012 e-book 121 Books: A Very Subjective Guide to the Greatest Kid Books of All Time for FREE. Click here for more details, and please spread the word. Thanks for this list! I have a 2d grader who loves reading independently, but will still cuddle up for bedtime stories with me. I’m going to ride that train for as long as I can. I would love to purchase “Dinner: The Playbook”, but I am not sure it speaks to me. The Amazon listing asks 3 questions that I can answer NO to! But we have loved cooking with DALS this past year, so maybe I’ll get it for the hidden gem recipes inside? I’ve often thought it would be fun to hang out with you guys but after reading the intro and descriptions of you all, I am doubly convinced. Food people AND book people? Oh yes, you are my people! Wonderful! My elder is 8-going-on-9 and a strong reader. She’s also graphics novel mad and we have gotten many great recommendations for those from here. Thank you for sharing your e-book! My toddlers are thrilled when I let them loose to pick their own books from the library, BUT their picks aren’t always the greatest reads. (I do it anyway, because they love the freedom of choices and every so often they find a hidden gem.) Still, I love to be able to introduce them to GREAT books. And your list looks to be filled with them! Thank you, thank you, thank you for sharing! I think my 3 year old daughter is tired of everything in her bookcase. Thank you for the inspiration! I am such a bad blog reader, I read and totally benefit but never.. well, rarely comment. But today I must. Thank you SO much for sharing this beautiful gift. I’m a new mom and reading books with my little guy is one of my very favorite things, in fact it’s one of the things I most looked forward to when we thought about becoming parents. Of course I have many must-reads of my own but this is such an incredible resource that we will treasure. Has it ever been published? I’d buy the physical copy. (Re)read this while eating Salmon Salad (pg. 64 of The Cook Book) for lunch.